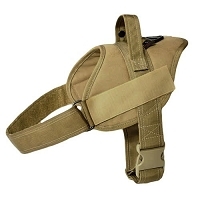 Choose from our large selection of Leather, Nylon, all weather, Service, police and Military harnesses. 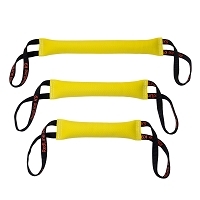 For all types of training. 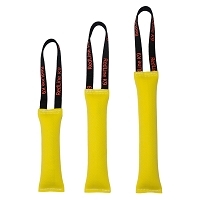 Schutzhund Tracking or Protection, Police K9, Search and Rescue no matter what your need, get a quality nylon or Leather Dog Harness at DogSport Gear. Please click on products for more information. 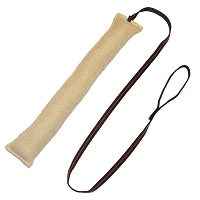 Everyone has there own preference when it comes to a Nylon or Leather dog harness. 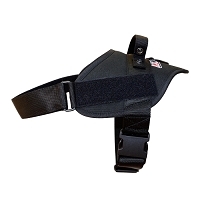 We stock a wide selection for bothSchutzhund and Police K9 tracking dog and protection dog work, padded or unpadded Dog Harnesses , all are made with expert European craftsmanship. 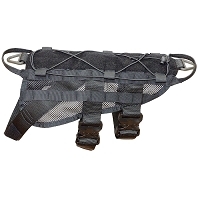 The Patrol, Multi Purpose and Protection and tracking Dog Harness all have a convenient handle on the back to help hold your dog in working situations. 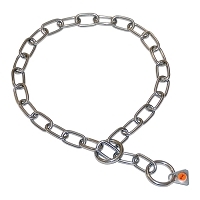 Get more out of your dog in protection work, a collar restricts the breathing when your dog is pulling into it, with a Dog Harness the pull is into the breast area and will not restrict the breathing. 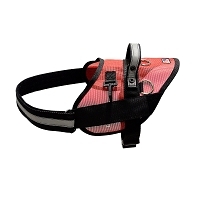 Have a look at our DogSport Gear Search and Rescue / Service dog harnesses . Designed for quick on and off. 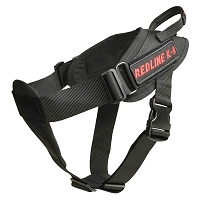 Our nylon used for the Search and Rescue / Service Dog Harness is of super quality, light weight enough to allow your working dog to go for long periods of time and yet durable enough to stand up to the rugged work your dog will put the harness through. 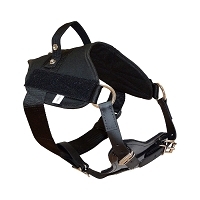 DogSport Gear Ultra Leather Dog Harness, now here's a working dog harness built for a thoroughbred working dog! The Ultra Leather Dog Harness sports newly acquired superior leather that, until now, has not been available in working dog equipment. 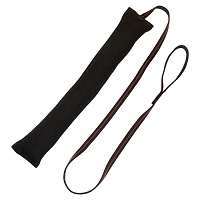 This leather dog harness is made with 2 layers of leather throughout and is thicker and more durable than leather used in traditional agitation dog harnesses yet still has outstanding flexibility and comfort. 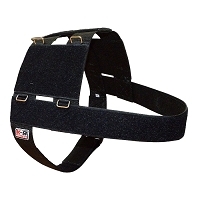 The Ultra Leather Dog Harness has saddle-worthy stitching is so good, you can actually SEE the quality and strength. 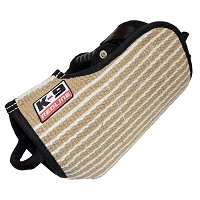 It is fitted with high grade brass buckles at 5 key adjustment points allowing for a custom fit to your dog. 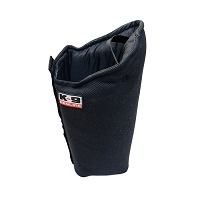 The heavy duty, thick felt lined chest plate prevents chafing and disperses pressure across the dog's chest rather than across the throat which can deter strong barking. 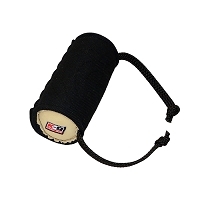 The felt is horse saddle grade - not the craft kind of wool or felt that breaks down after only a few sessions. 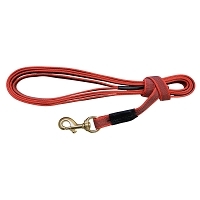 And, to top it all off, the Ultra Leather Dog Harness has an improved built-in loop handle on the top so the handler may be more involved in training if necessary. This is truly the "Lexus" of heavy duty agitation dog harnesses! 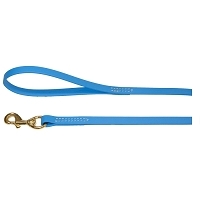 All Dog Harnesses at DogSport Gear are made of the best leather with great hardware, this is what puts these products in the level when we can proudly call it professional dog training equipment. You can be police K9 officer, federal agency agent, Schutzhund enthusiast or just person who cares about his/her dog. It doesn't matter. A Nylon or Leather harness will make the difference for you and for your dog when this is about success, comfort, safety, professionalism. 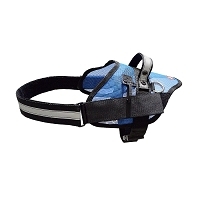 We have a harness for every need at DogSport Gear, so whether you need a heavy leather harness for tracking or protection work or a general purpose harness for your service dog, you find it here.